It’s a new twist on an old holiday favoritewhen you add some mob flair. Catch all the fun as Mob boss Ebenezer Scrungli wreaks havoc on the city, da family, his clerk, Bob Clemenza and of course, Tiny Tony. Watch as Don Scrugli gets a visit from all the ghosts and his old partner on Christmas Eve. Will there be enough time to save Don Scrugili’s soul? Do we really want to save a man who put a hit out on Santa Claus? Laugh along with us as we poke fun at every mob cliche there is. 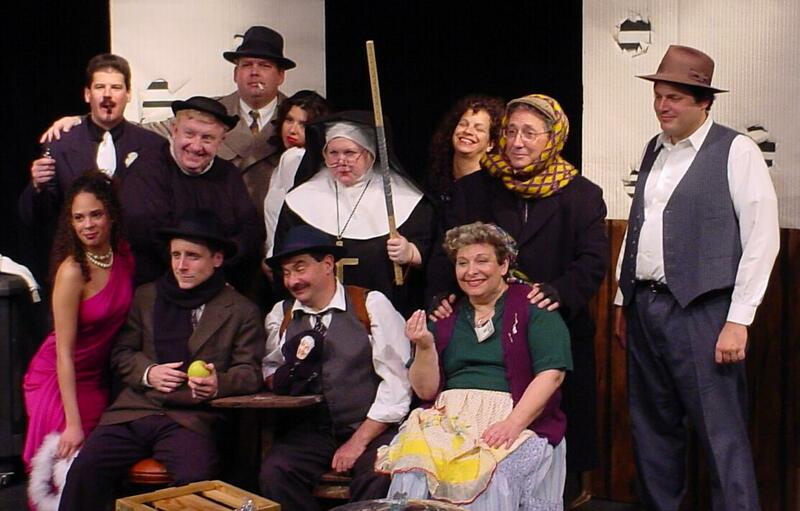 “A Christmas Cannoli” is a community playhouse stage production for audience members. When YellowSnow performs the play, we provide all the acotrs, props, costumes, etc. We just need a suitable space to conduct the show.